How to write a white paper? Michael A. Stelzner, who has written over 130 white papers, explains his procedure of writing a white paper from interviewing experts to offering the solution. Interview experts: If you aren’t an expert on a topic you could become one or you could interview some. Firstly, you should identify the experts. Write them an email with the most important information (topic, estimate amount of time and questions) and ask them if they could answer your questions. State the problem in depth: If you are writing a white paper, you should focus on the problem. If you are writing a 6-12 page white paper, circa 2-3 pages should be on the problem. Some people don’t exactly know what the problem is. Let’s take IPv6 as an example. The biggest problem at the moment with IPv4 is its limited amount of IP addresses. You could write about the implications and how IPv6 solves them. Moreover, you could write about additional features of IPv6. Offer generic solutions first: If you go to the solution, you shouldn’t try to sell your service/product yet. Firstly, offer a generic solution which everybody could implement on their own. This will maintain your credibility. After that you can talk about your specific solution. Tell your readers how it is different and superior to the generic one. 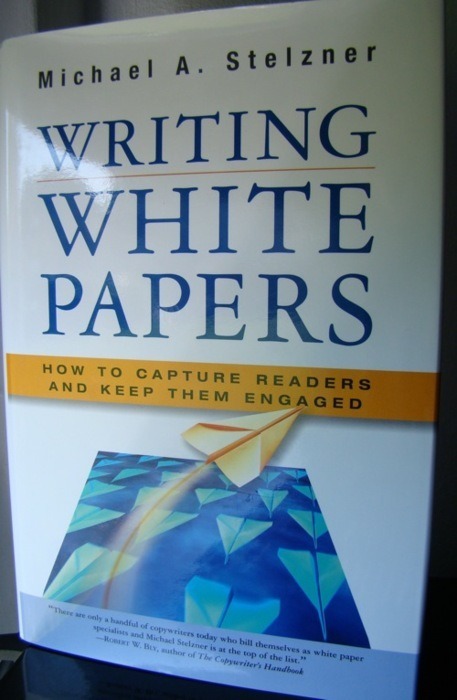 Writing White Papers is a nice book which shows you the basics of writing white papers. Some chapters are disappointing because they are very short. However, if you are a writer and want to go into writing white papers, this could be a valuable asset.